With the support of Dutch Christians, in 1855 two German-born missionaries, Carl Wilhelm Ottow and Johann Gottlob Geissler sailed for the forbidding lands of Dutch New Guinea. One hundred years later, missionary work was still going apace in the DNG islands. Yet there were still peoples who had not even been contacted, who had not met with the outside world at all. In 1968, in the same area but with a new name, now called Irian Jaya, Indonesia, two missionaries prepared to leave their mission base and penetrate the Snow Mountains. The Snow Mountains were home to one of the most feared tribes of the area, the Yali. This Stone Age tribe was heavily animistic, deeply superstitious, practiced human sacrifice, and they were cannibals. Very few men had met them and come out alive. The two missionaries preparing to leave base were Phil Masters from America and Stan Dale from Australia, who had been working out of Korupoon for the previous 6 years. Though progress had been slow, the missionaries had seen some conversions from other tribesmen who had come to faith. For example, Masters’ work with the Kimyal (Kimjal) people had yielded some conversions in 1963 when several of the Kimyal chieftain’s sons had converted. Dale’s work with the Dani had led to conversions also. But not the Yali. They resisted, fiercely. 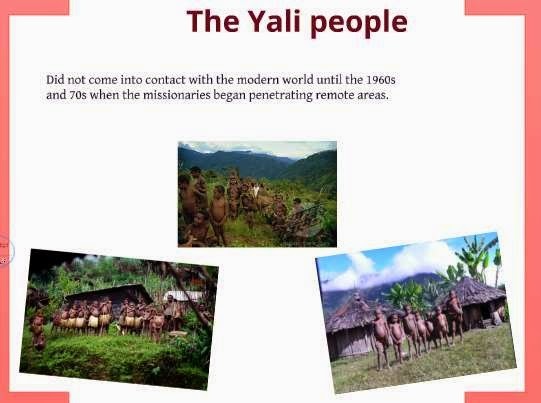 The Yali were a short tribe of people, what we used to call pygmy. The Yali men grew to less that 5 feet, the women a bit shorter. Despite their diminutive stature, they were the most feared tribe in the mountains. They were savage and aggressive, cannibalistic toward other tribesmen not only during in war but sometimes hunting humans just for meat. After killing a person they would chop them, grind their bones and scatter the dust, in order to prevent the person from ‘returning’. As a result of their fearsome demeanor and ferocious acts, the mountain tribes rarely interacted with each other. However, the language of the Gospel is universal, and while some tribes, like the Kimyal, had been somewhat receptive, Stan and Phil were determined to reach the Yali peoples too. 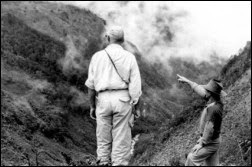 In 1961 on a former trek where the Gospel had been preached to the Yalis along by Stan with fellow missionary Bruno de Leeuw, Stan had been shot with five arrows, and the duo retreated. Now Stan wanted to try again, this time Phil Masters would be his companion. The two men were propelled by an equally fierce conviction that the Yalis needed Jesus, even if at the expense of their own lives. It was a grueling journey. The geography of the region was challenging, rugged, and isolating. Trekking was arduous. Though the native people would clamber through the dense jungle and trot barefoot up inclines in the rugged terrain, never slipping, the going was harder for the missionary men and their carriers from the Dani tribe. There was one friendly Yali with them. As the group reached Yali territory, warriors came out of their huts, and menacingly waved their arrows. Undaunted, the group of missionaries and carriers continued. The Yali tribesmen with the group observed that a sign had been given that they were to be killed. The group turned around and began trekking back. When they came upon a small, level river beach with rugged mountains towering over them, the Yali let loose a volley of arrows. Stan was hit numerous times, but amazingly, he simply stood. He tore the arrows out of his body, one by one. The volley of arrows continued and still, Stan yanked them out. The Yali became fearful, knowing these men served another God. Their volley of arrows became more intense, fearing more and more the God they served and wanting the men to die so they could quickly escape the area in case there was divine retribution. Phil was spurred on by Stan, and the two men, who supernaturally had been withstanding an incredible onslaught, finally became too weak to pull out their arrows, and they fell. Several of the carriers were killed also. The Yali chopped the men and ate them, and scattered their ground-up bones so they could not be “resurrected,” a term they had heard before when Stan had shared the Gospel in 1961. Phil Masters, author of the Daily Sentinel’s Missionary Dairy, is reported missing in the interior of West Irian, Indonesia. A missionary for the Regions Beyond Missionary Union, Phil and his family have spent some six years in the primitive areas of what was once the island of Dutch New Guinea. The island was taken over by Indonesia over three years ago. Mrs. Masters is the former Phyllis Wills, daughter of Mr. and Mrs. Hollis Wills, Seney. It was reported by Phil’s parents, Mr. and Mrs. Tom Masters, Mapleton, were notified Monday morning by telegram that Phil is overdue from a trek into the interior. Although all the details have not been learned, it is believed Phil and another missionary went into the jungle to visit a neighboring village and haven’t been heard from since. Mrs. Ron Severson, LeMars, has received a news release from the Regions Beyond Missionary Union, Philadelphia, with more information about Rev. Phil Masters. The Severson family was one of the interested in LeMars area families in the work of Phil Masters. The union reported the deaths of two of its missionaries in the eastern highlands of West Irian, former Dutch New Guinea, Wednesday, Sept. 25. The date had not been reported previously. Rev. Philip Masters and Rev. Stanley Dale were killed instantly in an ambush by hostile tribes while on an evangelistic trek between the RBMU outposts of Koruppun and Ninia, the missionary union source said. The society is one of several mission groups working in the interior of West Irian among tribes just emerging from a stone-age culture. A phenomenal response to the message of the Gospel has been witnessed among some of those warring cannibal tribes. Notably, in the Swart Valley alone, since 1960, some 8,000 of the Dani tribe have become Christians, weapons and fetishes have been discarded and literacy has become widespread. The Lord blessedly answered the missionaries’ prayers. The various peoples of the Seng Valley in Indonesia have been released from their shackles to a ritualistic and demonic system of fear and death. They are joyously free. Though the burdens Stan and Phil (and Bruno, and the Wilsons who are still there) carried were heavy, they were temporary. The massacred missionaries are now enjoying freedom from their earthy tent of a body and dwell in glory with Christ. The day will come when the two men, shot through with arrows and ignominiously eaten, will eagerly and joyously greet their brethren the Yalis in heaven. Only the Gospel of Jesus Christ can cause such warm love and dramatic transformational change. The Lord Jesus Christ loves His people, all peoples, and He died and rose again to bring a message of light and hope to all men. He sends His Spirit to indwell men and some of those, Jesus has set them apart for missionary work to bring the Gospel message to those who are in deepest darkness. We are not talking long ago times of unreached people groups. Dutch Christian missionaries immediately began living among the Korowai and the first converts came to Christianity in the late 1990s. You see that the fields are white, the need is deep. These cannibalistic, stone age tribes are still emerging into the present day. And before the Wilsons who live there now, there was Dale and Masters, and before that Bruno de Leeuw and before that Carl Wilhelm Ottow and Johann Gottlob Geissler…and before that Apostle Paul and before that…JESUS. No matter where one extends the unbroken line of missionaries back, it always ends, or begins, with the first missionary. He left His holy habitation of pure glory to descend to depraved man, bringing the Light and the Hope of the Gospel. Thankfully, some tribes already have emerged into the Light. Here is a wonderful video of the Kimyal people, whom Phil had worked with, rejoicing when a small plane brought to them their first bibles in their own language. Below that, the Yali themselves commemorate the day that Bruno and Stan brought the Gospel to them in 1961, which has become their TRUE Independence Day. What does it mean when the Prophets say "The Day of the LORD is near?"